With summer coming to a close and winter on its way, you may find yourself struggling to come up with vacation options that get your family out into nature while providing the creature comforts necessary for making travel with the babes enjoyable. Being a mom doesn’t mean having to miss out on the outdoor adventures you enjoyed when you were on your own. The U. S. is home to a handful of stunning hut-to-hut hiking systems that give baby-toting mamas a chance to unplug the family from the devices of daily life and reconnect with each other while traversing wild landscapes and taking in spectacular views. For those who aren’t quite ready to rough it in tents with youngsters, but like their adventures on the rugged side, the US hut systems offer a nice in-between option. Many include meals, bedding and the basics with your stay so packing stays light and easy. 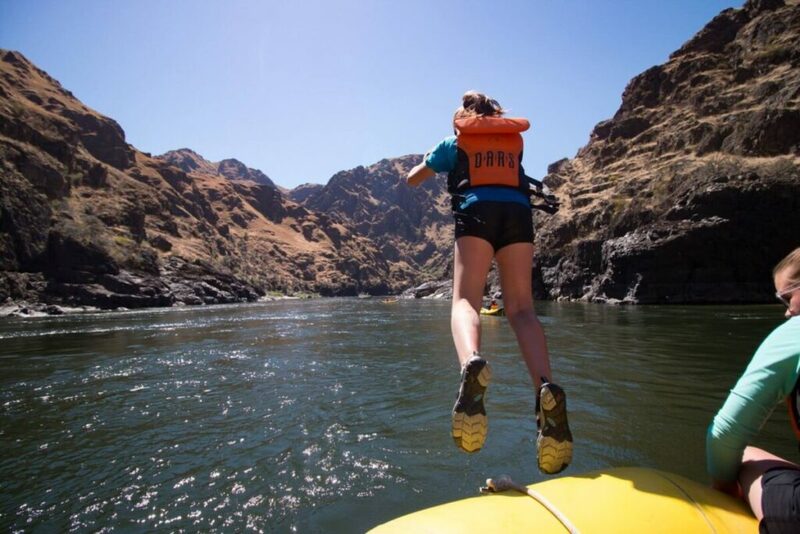 The following are five kid-friendly hut-to-hut adventures every active family should experience. Some are more physically challenging than others, but there’s a destination that’s perfect every outdoor-loving family to enjoy. With over 70 miles of hiking and ski trails that take visitors through Maine Woods, the Appalachian Mountain Club’s hut system offers families plenty of opportunity to commune with nature. There are eight huts that offer travelers food, lodging and a wide variety of activities. 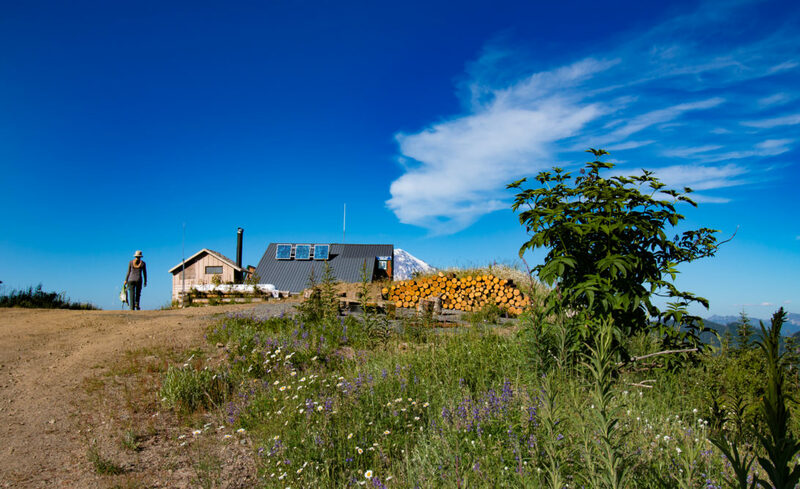 The Accommodations are off-grid and include coed bunkrooms with separate washrooms and toilets. They do not have electricity or hot running water. This hut system operates on a two-season rotation consisting of the full-service season and the self-service season. During the full-service season, guests enjoy dinner and breakfast with their stay. Meals are served family-style and include fresh bread, soup, salad, an entrée, and dessert. Child-friendly meal options are accommodated with advance notice. Travelers must pack their own food in during the self- service season. Each hut offers it’s own unique access to the natural surroundings, wildlife sightseeing and mountain views. Stunning hikes are available in abundance, but there are plenty of additional activities for your family to enjoy. Attend a naturalist-led program complete with an activity booklet that allows kids to earn their junior naturalist patch, sign up for a guided outdoor skills and adventure program, and— depending on the season—hike, bike, snowshoe or ski your day away. Take in California’s stunning waterfalls, pristine lakes and breathtaking mountain views at Yosemite High Sierra Camps. Comprised of five high-country sites accessible by foot or mule and tucked into the wilderness approximately six to ten miles apart from one and other, your family has a variety of settings to choose from—each uniquely beautiful and different from the other. The camps are made up of a grouping of cabins that house travelers for the duration of their stay. A warm breakfast and dinner is served daily (special diets are accommodated with advanced notice). Lunches are available for purchase as well. All camps have clean drinking water, a wood stove for heat and washroom and restroom facilities. And these digs are electricity free but there are complimentary candles for light when needed. As you can imagine, there’s plenty for everyone in your family to do during their stay. Get ready for afternoons packed with fishing, swimming and wildflower walks. If you are interested in setting up some structured fun, you can sign your tribe up for guided hikes or mule rides. Your kids are sure to be thrilled at the chance to saddle up for an afternoon excursion. Time spent taking in the wonders of Yosemite with your favorite people guarantees plenty of bonding and lots of memory making. Note: Reservations are done through a lottery system so this trip requires planning to be done well in advance. Four stunning lodges along a scenic 80-mile trail system await your family at Maine Huts & Trails. Each hut offers visitors access to unique outdoor experiences and activities, but all of them are off the grid eco-lodges that have spacious great rooms, comfy reading rooms and—most exciting of all—hot showers, toilets and heated bunkrooms. Now that’s luxury hut-style. The Flagstaff Hut is of particular interest to families. It’s just a 1.8-mile hike from the trailhead to the hut which is located on the east shore of Flagstaff Lake—perfect for tons of family water play. It’s large and roomy with plenty of space for little bodies to get their wiggles out inside when needed and guests have access to canoes, kayaks, and paddleboard for active play outside. You can fill your days with swimming, hiking and paddling or just kick back and listen to the loons. Wherever you choose to stay, be prepared to enjoy impressive backcountry cuisine served at every meal (breakfast, lunch and dinner during the full-service-season, and breakfast and lunch during the off-season). Each dish is made from food gathered from local farms and sustainably raised meat. Your little foodies are sure to love the eats like cinnamon rolls, pancakes, and sloppy Joes. And mom and dad can relax and enjoy a local microbrew or a glass of wine. Colorado is known for its rugged beauty and your family can brave the wild without worry with 10th Mountain Division Hut Association’s hut system. With 34 backcountry huts nestled in the Rocky Mountains and connected by 350 trails, your family can choose your adventure based on skill-level and location. If you have tiny tots, there are huts you can drive right up to with all of your gear—no hiking in. 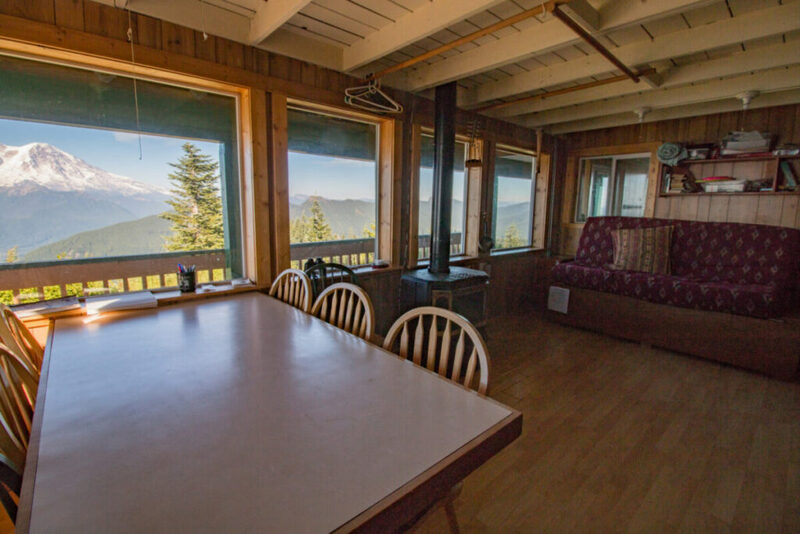 Consider Shrine Mountain Inn and Peter Estin Hut. Both have hiking options that you can take to hike to summits with amazing views. Shrine Mountain Inn consists of three separate cabins with hot and cold running water, flush toilets, showers and baths, kitchens and there is even a shared sauna for visitors to enjoy. If you want to make sure that your kids get the most out of there time in nature, consider investing in the services provided by one of the area’s local guides. The can make sure you see the most magnificent sites, gain knowledge of the area and its natural inhabitants, a that you take the trails best suited for your family. With so many options, this is a vacation that can be revisited year after year after year. The Mt. Rainier area is home to an abundance of wildlife and majestic landscapes, and the Mt. 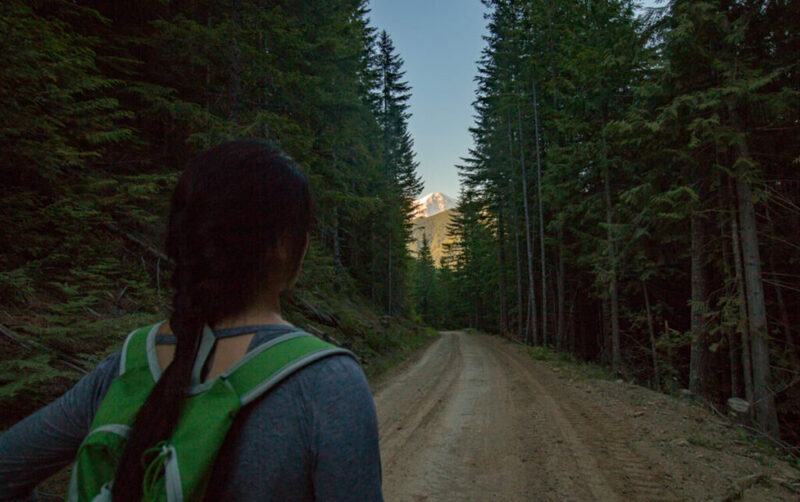 Tahoma Trails Association is determined to make sure your family gets to experience it all. 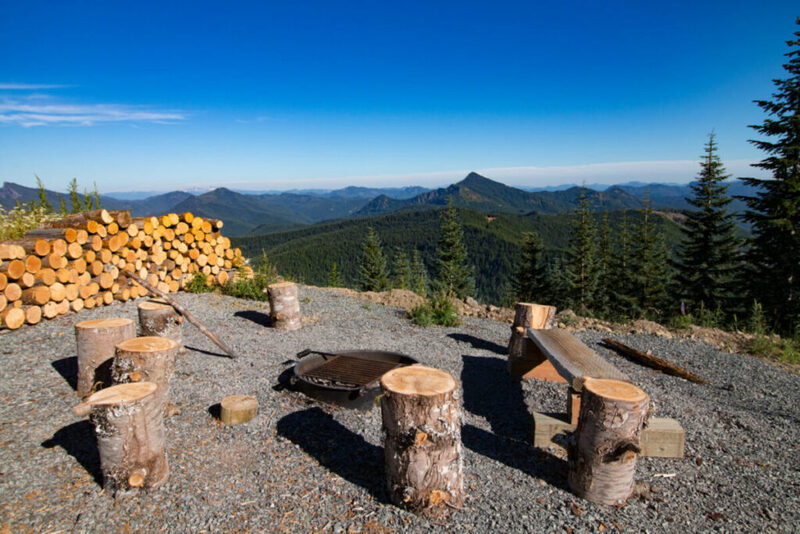 With three huts and one yurt that offer visitors access to unmatched panoramic views, your family has the opportunity to sit in stunned awe as you take in all the area has to offer from 4,760 feet up in the air. Offering 20 of miles of trail to explore this system is the largest fee-free option in North America. If you have younger adventurers in your family, Copper Creek Hut is the perfect destination for your family. Access to the hut is beginner friendly as are the nearby trials, and with Copper Creek nearby there’s plenty to captivate little outdoorsmen and women. If your troop consists of slightly older and more able-bodied hikers (7 and up), the hike to High Hut and Snow Bowl require hikers to conquer a strong incline but the payoff is big with sweeping, unforgettable views of Mt. Rainer, Mt. Adams, and Mt. St. Helens. The Mt. 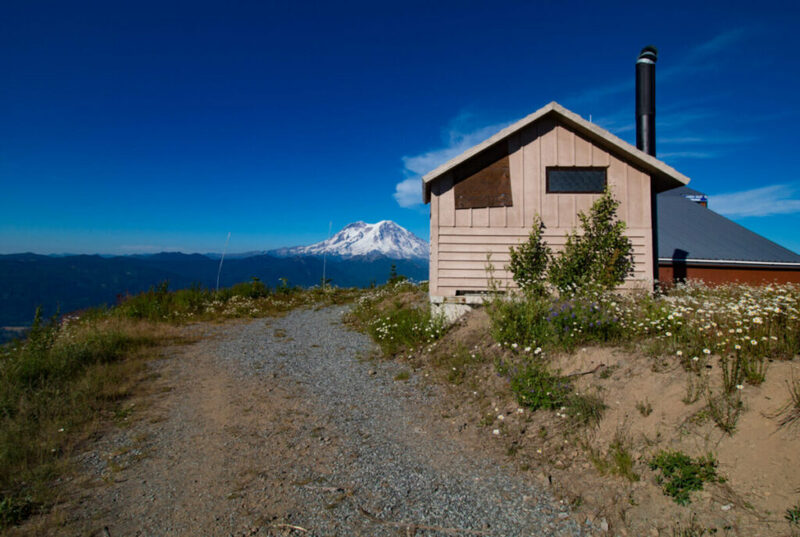 Tahoma Hut system is completely maintained by volunteers and the accommodations are impressive. These beautifully built lodges and yurt come with fully stocked kitchens, bunk beds, propane fireplaces for heat, and bathroom facilities. If you are looking for an affordable adventure, reserving one of these huts for your family is just $15 per person!